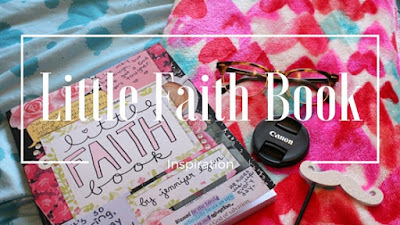 Life as Pink Einstein | Dallas Fashion and Lifestyle Blogger: Little Faith Book DIY! This DIY is super simple. Cut a piece of washi tape and then cut it in half long ways so that it will fit through the paper clip easier. Once through the paperclip, put the two sticky sides together and cut the top to make it look nicer. And that's it! The point of this DIY is so you can easily flip to the four sections of you Little Faith Book without having to search for each section. On the right of the section pages it tells what the section is and I put washi tape there to match the washi tape bookmark. My four washi tape bookmarks! I LOVE THIS IDEA! Going to share it with my sister who likes these kind of projects! And hello- new to your blog!